Make your Lindy Hop smooth and comfortable in Motor City Swing’s first-ever begintermediate-level series! The topic is flow, and it will be all about how to make your dancing feel like a cohesive whole, rather than a series of disjointed, disconnected moves. And in the process, you’ll get several new moves for your vocabulary! This is a begintermediate-level class: You need to have taken Beginner 8-count Lindy Hop and a few drop-in lessons (or have instructor permission) to take the class. As with all MCS series classes, you’ll learn both leading and following at the same time! This is a progressive series, so each class builds on the ones before it. Join us for the beginner drop-in lesson from 8-9pm (between the class and practice) to learn more Lindy moves… it’s free for anyone in the series! Price includes admission to Tuesday Night Swing for the duration of the class! It’s back: Motor City Swing is kicking off the new year with a class in Beginner Lindy Hop! Come out and learn the most iconic swing dance of them all. We’ll cover the basics of 8-count Lindy Hop, including circles, swingouts, yo-yos, and more. And of course, as with all MCS series classes, you’ll learn both leading and following at the same time! This is a beginner-level class: No partner or experience required! Exciting news: Motor City Swing and Motor City Youth Theatre are teaming up to bring you a holiday swing dance party! MCYT needed a fundraiser after having a new roof installed, and MCS needed a place to hold a dance… it was a perfect match! We’ll have a workshop for kids in the morning (canceled), and for adults, a balboa workshop in the afternoon and an evening dance (high school students are welcome at the adult events). Come on out to support dancing and theatre in metro Detroit! Details below, after a quick summary of the schedule. A workshop to get kids tapping their toes to some of the best music of the 20th century! The workshop is open to 5th through 8th graders runs from 10am until noon. The cost is $12 per student, which includes pizza for lunch. The workshop for kids has been canceled due to lack of interest. Balboa is a swing dance invented for ultra-crowded ballrooms in southern California during the swing era. Note: Balboa is danced in a close embrace position, which basically means you’ll be hugging your partner. If hugs make you uncomfortable, this might not be the dance for you! No experience or partner is needed for this workshop! You’ll dance with everyone and, as with all MCS workshops, you’ll learn both leading and following. Includes the entire workshop, along with admission to the evening Raise the Roof dance! What would the day be without a dance to cap it off? If you’ve never danced before, don’t worry! There will be a beginner lesson before the dance, included in the $10 admission price. or email motorcityoutheatre@gmail.com for more information! 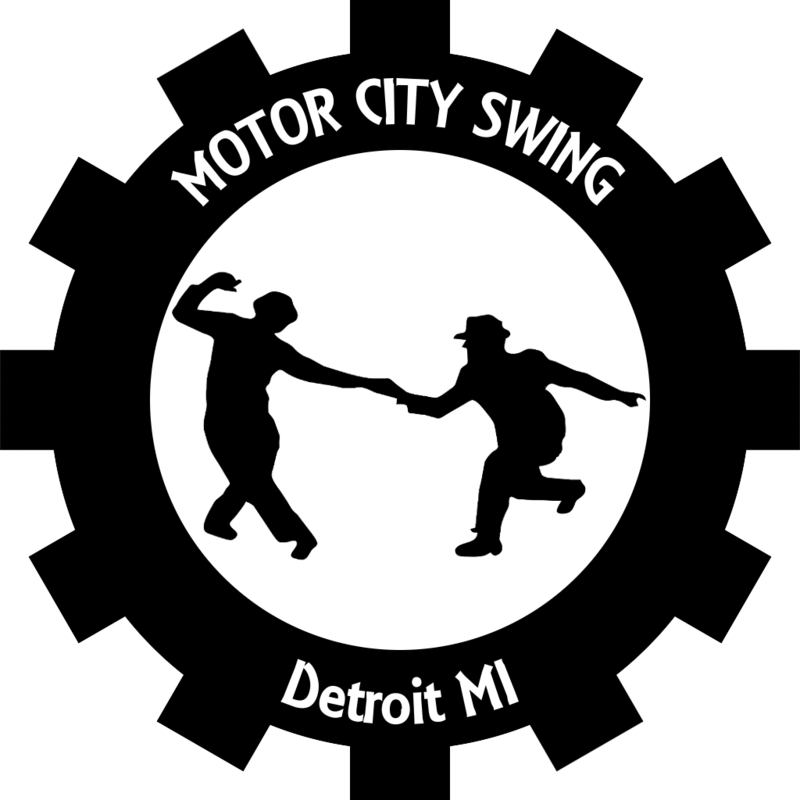 Welcome to Motor City Swing! Hello there! If you’re looking for swing dancing and lessons in metro Detroit, you’ve come to the right place! Join us weekly for Tuesday Night Swing in Southfield, or for our occasional Saturday workshops and dances in other locations. $5 admission ($4 for students) includes the lesson! Do I need to know swing dance already? Nope! We’re a social dance group, which means you’ll be dancing with everyone (even if you do have a partner). Is Tuesday Night Swing still on for this week? Probably! Check our Facebook page for updates on when Tuesday Night Swing will be canceled (generally only for major holidays). We aim to provide high-quality education and social dance opportunities for the metro Detroit area in an inclusive, LGBT-friendly environment. See our About page for more information!